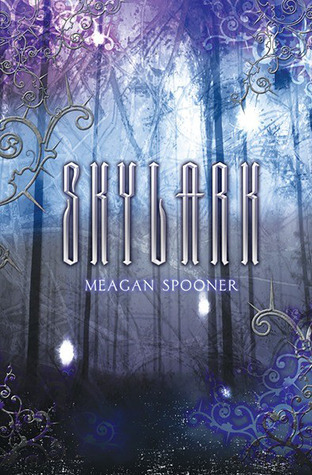 When I first started reading YA dystopians, Skylark had been one of few I’d been immensely interested in. For what reason that is, I’m not even sure I remember anymore. But due to the current “trilogy” fad for any and all YA novels, I had decided to wait until the entire series was completed before reading it. As intriguing as the story concept is, and as solidly as the story had started out, Skylark wasn’t exactly the most exciting YA dystopian out there, among many. I can’t help but feel like it could have been better or more exciting… but in the end, I’m not even really sure what it is that Skylark needed to have in order to appeal to me from beginning until the end; because I could have used a dose of something in order to not feel like the story’s adventure arc dragged something terrible. To be totally honest, I’m not entirely sure that I understand what the story line of Skylark encompassed. The beginning was a bundle of confusing, and I understood only that our heroine, Lark Ainsley, lives in a city (of typical dystopian setting) wherein children are “harvested” regularly for their power. No one knows what it means to be harvested, except that a certain power within each person is taken away to help power the city’s machines and keep the “Wall” in place, to keep dangers outside of the wall from coming in. Then it is discovered that Lark may be a “Renewable,” an individual capable of regenerating her power even after it is taken away from her. And now the city wants to plug her into their network so that she can endlessly power the city. Lark’s destination is a place called Iron Wood where she will find many others like her, a place where she may finally feel as if she could belong; a place where she can feel safe and live out the rest of her life. I’m a little disappointed that I didn’t enjoy this book as much as I’d been hoping. In all honesty, the book’s premise had potential. The world is a creative one with interesting ideas. The characters were a little bland, though, and Skylark felt like it might have been grasping for story while trying to get Lark from Point A to Point B. It dragged. I love adventures. So books wherein there is a lot of travel or a lot of walking don’t typically bother me… unless they’re written with such little pizazz that I stop caring about what’s going on with Lark as she travels by herself and self-monologues about her life and her future life and the life she left behind, and all the new scary, frightful things she’s encountering. Because it didn’t feel exciting to me even if it was whole new territory for her. Even while I got extremely bored with Lark’s solitary trek through the dangerous forest; and even after she met up with Oren and brought the pixie, Nix, on-board her journey, the adventure was still a bit boring. And then, the moment things started getting exciting, another change would take place with our traveling troupe and the story would dip into either boring (again) or frustrating (even worse). So while I DID find some parts of Skylark enjoyable, and while the ending seemed to reignite my interest, it makes me wary that the book had more moments of boring monotony than the good stuff. Nonetheless, I’m still curious (a mild curiosity) as to what will happen next, and so I’m hopeful that things will pick up a little bit in the next books. I may not be entirely invested in these characters, but I’m hoping something will come of the rest of the trilogy.